Awesome! The government has done something very right with this National Historic Site, although I wish it had longer hours. We still had plenty of daylight left and they closed down at 5:00pm. Next time we go, we'll leave 2 days to see everything at Steamtown and pay a visit to Scranton's Steel Mill National Historic Site. 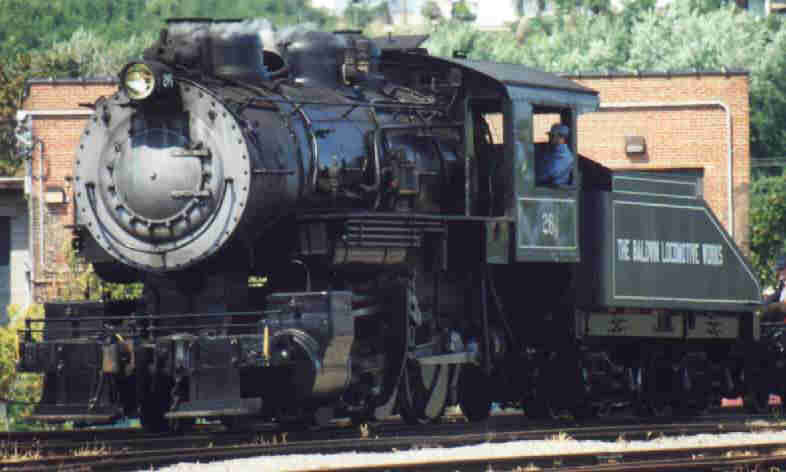 Nice shot of the Baldwin 0-6-0 switcher steaming around the yard at Steamtown. The Baldwin pulled a short train, complete with hobos, around the yard area to entertain the tourists. I experimented with B&W film for the first time at Steamtown with pretty decent results. 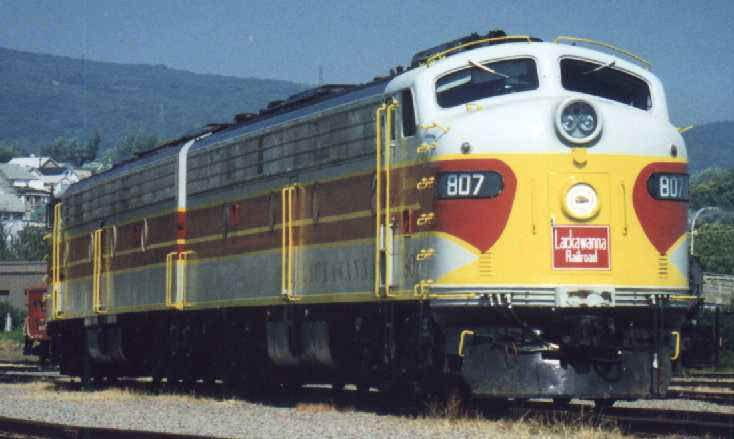 Here's one of the E8's on the turntable with the nose in the shadow of the roundhouse. 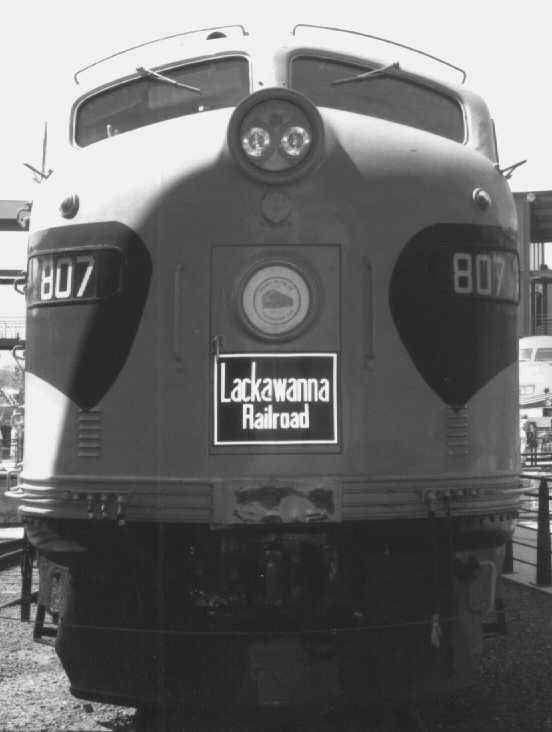 I used the flash to highlight the Lackawanna logo on the nose. More B&W's of the Lackawanna E8's. Some color photos of the E8's. 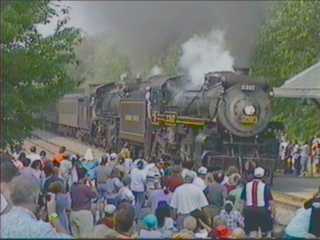 A video capture image from the fantrip operating out of Steamtown. 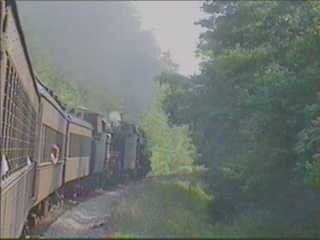 Another video capture of the runby held at the turn-around point for the trip. MPEG video of the run-by, click here.